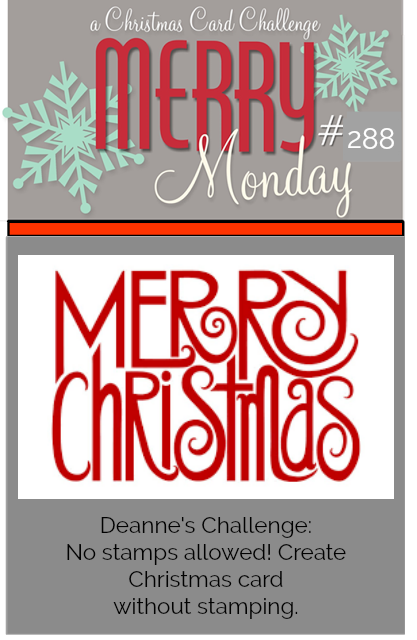 We have a new Merry Monday Christmas card challenge, Deanne is our hostess and her challenge is No stamps allowed! 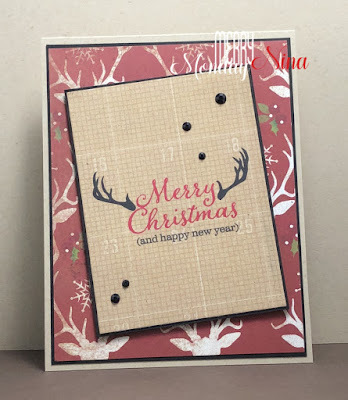 Create a Christmas card without stamping. 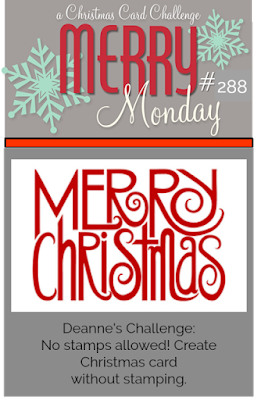 I had this designer paper on the side of my desk still from the Keeping Christmas blog hop and it was perfect for this challenge. Both panels have a layer of black cardstock added to them. I popped up the top panel with foam tape and I finished with gems. I don't think it gets much easier than the pre-decorated panels with sentiments on them. Supplies: Kraft and black cardstock, Designer Paper-Bo Bunny, gems. Super cute! That panel is perfect for today! Amazing job with the BoBunny papers, Nina! I love how the black mats really make the papers pop and the black gems add the perfect finishing touches!! 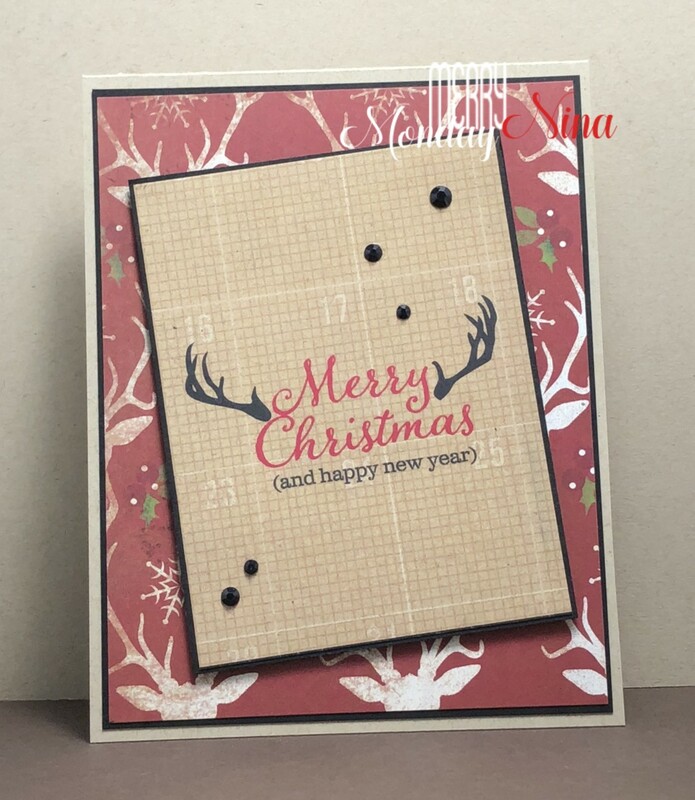 Great card, Nina with your designer paper. Have a great week. Great DSP Nina and I love the gems as the finishing touch. Really cute card. Isn't it great when the designer paper has just the right sentiment and design.